Associated Services in Insurance is an independent insurance agency specializing in the Firearms and Ammunition industry. For over 10 years, ASI Insurance has served as an independent insurance agency for businesses in the firearms and ammunition industry. In fact, we currently represent hundreds of different manufacturers and nearly every insurance carrier that has a hand in the firearms and ammunition industry. As the largest independent insurance agent to specialize in the industry, our specialists represent multiple insurance carriers with the goal of keeping them honest to make sure our clients obtain the best rates, coverage and packages possible. By having multiple insurance carriers bid on rates and coverages, we’re able to create competition and reach our ultimate goal of getting our clients the best rates and coverages for their needs. ASI can write product liability insurance, along with property, umbrella coverage, ocean cargo and many other options. Contact us today and our knowledgeable specialists will help you find the best insurance package for your company.
" ASI has treated us very well! Year after year, our premiums have decreased. I highly recommend ASI. " " We wanted to thank you for all the hard work you have put in regarding our insurance policies. We really appreciate all of the savings and your excellent customer service. It is a pleasure to work with you and your company. " " I just wanted to say thank you for all your help with my insurance coverage. In today’s times, every little penny saved helps my company. I feel confident now that I am covered if something happens. " " Trent and his staff at ASI are a pleasure to deal with. They will go the extra mile to ensure that you have all of the coverage that you need. Trent found us product liability coverage when no one else could and even helped find us our workman’s comp policy. ASI is the best! " " We had an agent working for us and we were really not looking for a change. Trent was referred to us by a friend in the business, so we gave him a shot. He not only negotiated a lower premium, but brought us added value by reviewing our coverages and making changes for the better. " " As a growing business owner, I need to keep my business operations and expenses as lean as possible. Trent has the experience in the Firearms Insurance Industry that I trust. He not only mentioned the good things he could do, but made them happen as well! " " Thank you for your professional approach in our annual bidding process. You have gone above and beyond the expected service level and it is greatly appreciated. 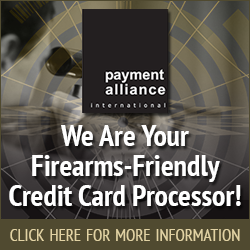 I will recommend all friends in the Firearm & Ammunition Industry to utilize ASI! " "Trent has been our agent for many years and continues to do a tremendous job. The service is spectacular and their knowledge of the industry is next to none"
" Our General Liability premiums are a major part of our business, and with Trent’s experience through negotiation of insurance contracts in the Firearms Industry, premiums were dropped nearly 30%. Trent also performed a coverage audit and found many discrepancies in our coverages, which were improved during our premium reduction. " " Thank you Chris, Logan, and Trent! You did what you said by tremendously lowering our premium and increasing necessary coverage. It is comforting to know that our insurance risks are in the hands of true industry professionals. " " Thanks so much for taking the time, I learn something new every time we have a chat! "